... And Woman Elan Vital gets to join the 3-day potato food tour and have taste-perienced first-hand how this lowly tuber have levelled-up in terms of flavour sophistication and presentation in the capable hands of distinguished Chefs here in Davao City. It was an interesting and enriching event learning and eating potatoes cooked out of my usual kitchen fare and I must say, I’ve never looked at potato the same way ever again. Now on its third year, this US Potato Safari was organized by the United States Potato Board (USPB) through their PR Company as a venue to advance the demand of US Potatoes. USPB as a promotion and marketing arm of US Potato industry, with over 4000 commercial potato growers operating across United States, took in the task to educate consumers, food manufacturers and further partnership with local restaurants and chefs to integrate and demonstrate the versatility, cost efficiency and product quality consistency of US potatoes in their food creations. 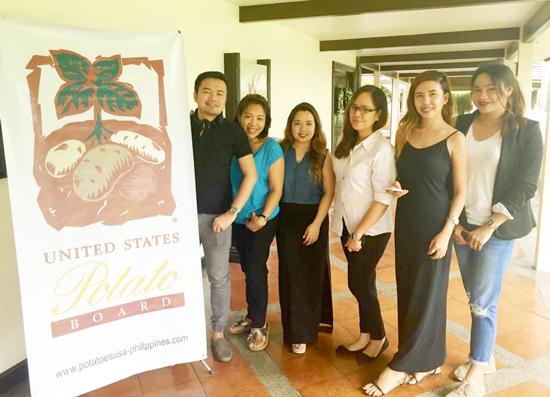 The Philippines being the 6th largest US Potato export market in Southeast Asia, with mainly US frozen potatoes as export, has taken centerstage as a suitable setting for food experimentation and exploration along with partner chefs and restos using the US Potatoes in their innovative dish ideas. 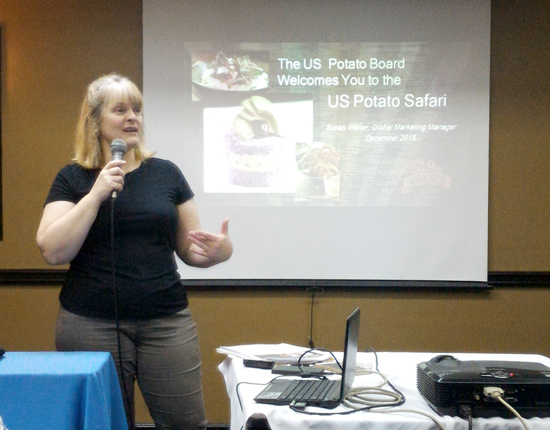 Seeing the growing demand of US potatoes in Davao City and taking into account the emergent and diverse vibrancy of food scene in the city, USPB brought in the third leg of US Potato Safari to Davao City. US Potato Board giving an overview of what USPB is all about. Along with several other food bloggers from Manila, Woman Elan Vital would like to bring you back to what went down during our three-day gastronomic potato safari. Looks all good to me and who said it’s a plot to fatten me? No way, think you just need a good seat beside me :) So, here we go!